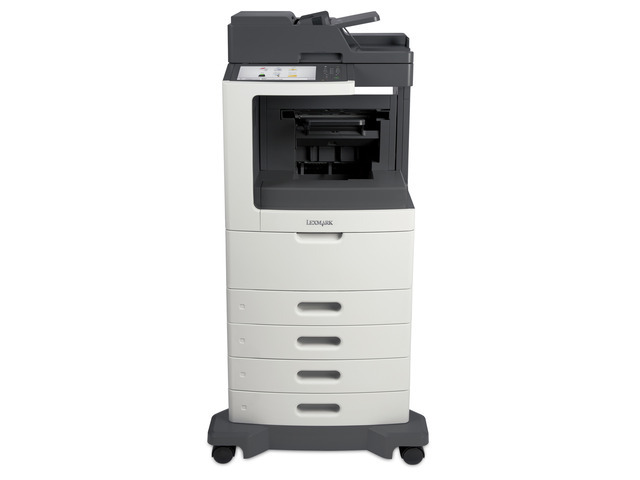 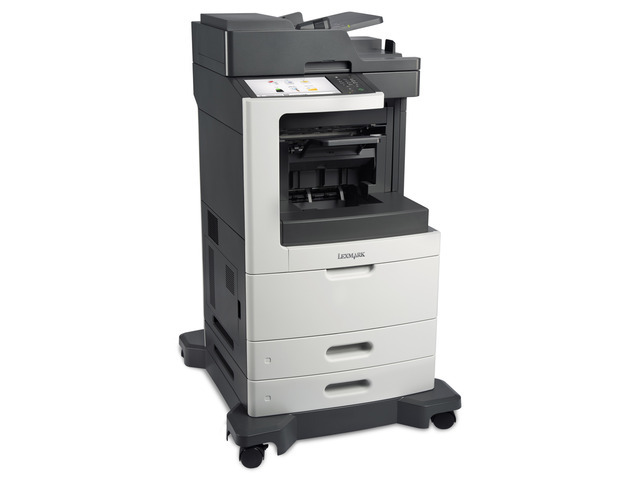 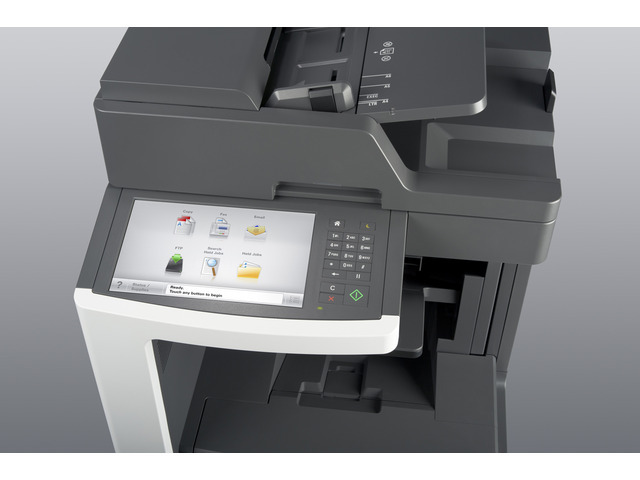 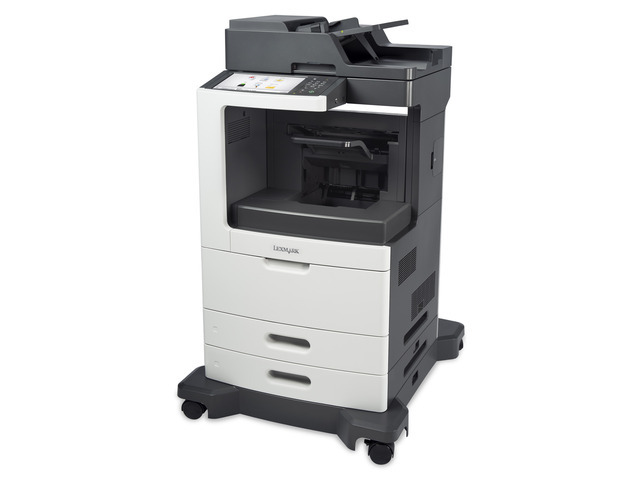 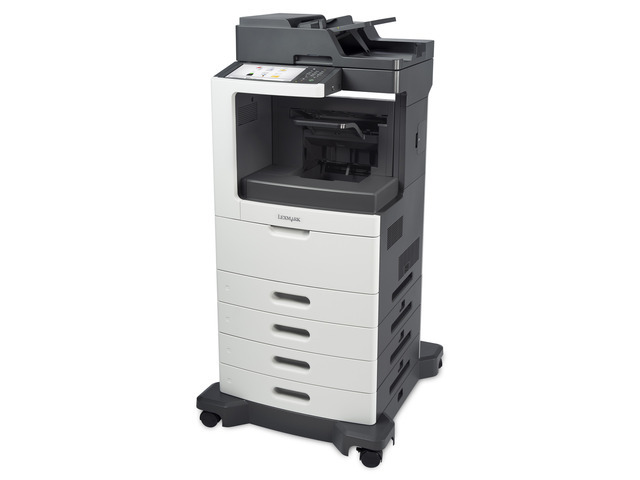 The Lexmark MX810dfe MFP with a customizable e-Task touch screen, staple finisher, 1,200-sheet standard input, 1GB of standard memory and 320+GB hard disk provides print, copy, fax, scan and email functions. 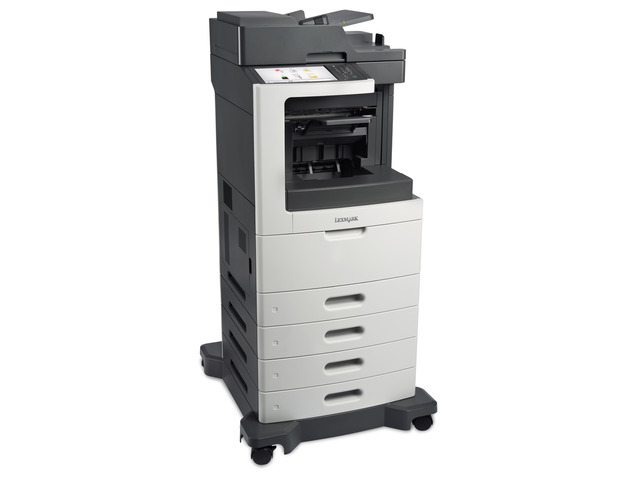 Enjoy print and copy speeds from 55 to 63 pages per minute, produce your first page in as little as 4.4 seconds and rapidly scan a 2-sided document in a single pass. 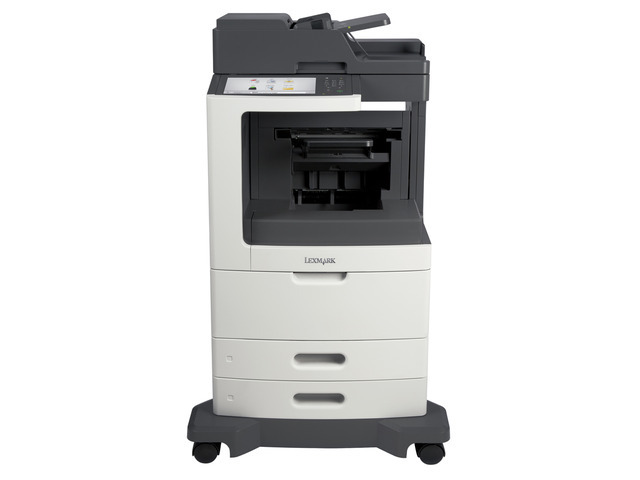 A vibrant, easy-to-use 10.2-inch color touch screen provides access to pre-installed workflow solutions.